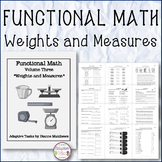 This weight card sort includes 3 headings, 15 cards to sort, and an Answer Key. The categories are ounces, pounds, and tons, (standard units of measurment). 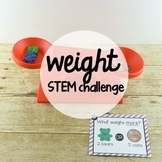 Please visit my store to see another Weight - ounces, pounds, and tons activity for the whole class, and a Vocabulary Word Wall. 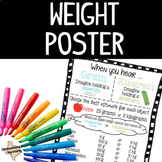 This chart will be great to use to teach how to estimate weight of objects in grams and kilograms. Print on a 20x24 poster and laminate to use year after year. In What's My Weight? students estimate and measure how many cubes it takes to balance objects. This station comes with a direction card, math talk cards, and independent practice worksheet. 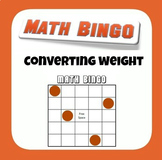 Be sure to check out my other math station games. Choose "print on both sides" flip on short side. Fold and give to students for reference in converting between metric and customary units of measure. The back of the booklet has a chart to convert between customary units. My Pumpkin! A booklet about size, color, weight & measurement of a pumpkin. 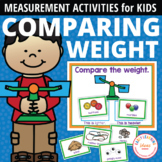 This worksheet is designed to introduce lower grades to comparison measurement of weight. Students make a prediction and then test their work against common classroom items using a simple balance scale. Students then record results. Tell students they are pirates and to pretend they have found a treasure chest full of pearls that are exactly the same size and shape. The treasure can be jellybeans, seeds or something similar. 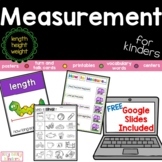 Get the complete Focus On Measurement BUNDLE of 28 Measurement games and save!